Die casting is a process for producing metal parts by forcing molten metal under high pressure into reusable steel molds, similar to the plastic injection molding. The molds are being called dies, and these can be designed to produce complex shapes with high accuracy and repeatability, and the parts can have smooth or textured surfaces. 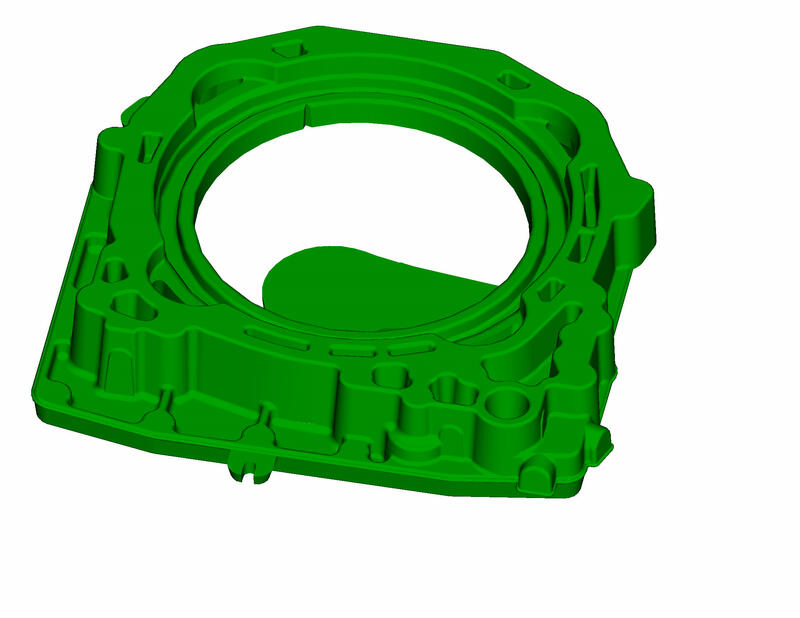 Designing and developing a product for die casting is similar to any other manufacturing process. The die casting process offers some important product advantages and cost reductions that require a different approach to product development. Die cast parts are usually being fabricated when there is a high volume, due to the fact that tooling is expensive. When designing new die cast parts, our designers and engineers are disassociating the design constrains from traditional materials and processes, thinking function before traditional form, keeping in mind that performance must be sufficient, not equal, and matching the materials properties to performance specifications. Our team pays close attention to parts weight reduction, die cast parts shrinkage, adding enough ribs and sufficient draft, cross section uniformity, eliminating sliders wherever possible, choosing the right parting lines and ejector pins area, and other important details for optimizing the die cast design.